Simply select the dimension, say the unit you want and Xpresso changes it for you. Using decmials and need fractions? Sixteenths. Need to change from feet to meters? Meters. It's that simple. 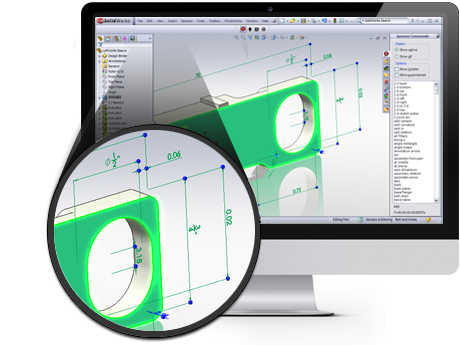 Xpresso speech recognition software enables SolidWorks designers to simply say commands eliminating actions that do not add value. 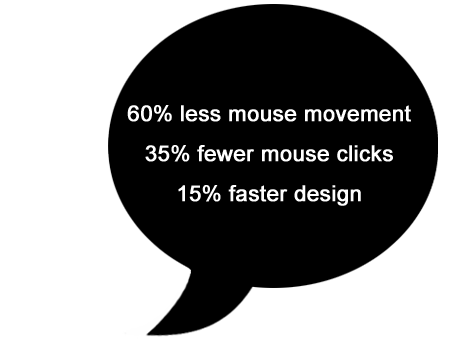 Using Xpresso reduces hand movement and augments the use of additional navigation devices streamlining the design process and making it more efficient. Use a game controller to take your design environment to a new level with seamless model manipulation, a more comfortable and ergonomic position, and fully integrated and pre-configured software for SolidWorks. 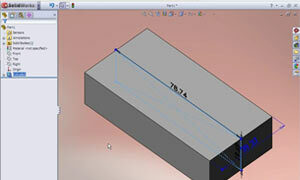 Speak your mind with Xpresso, the premier integrated speech recognition software for SolidWorks. 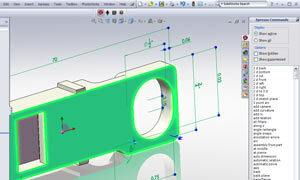 Xpresso speech recognition software enables SolidWorks designers to simply say commands eliminating actions that do not add value. 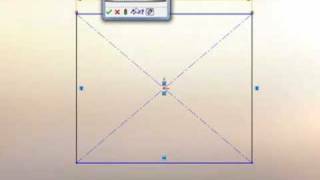 Take control of your SolidWorks experience with Xperience controller software. 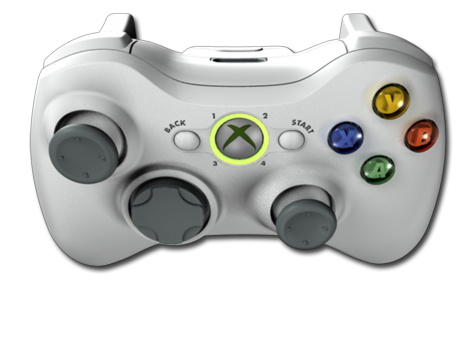 Use a game controller to take your design environment and model manipulation to a new level. 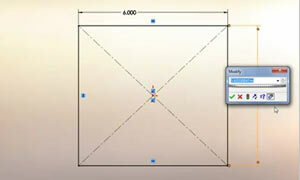 Directly manipulate your model and continue your focused design process. 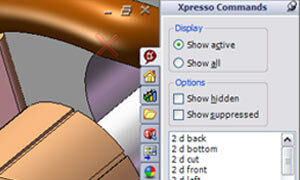 In addition to over 700 SolidWorks® commands, Xpresso introduces a new concept in productivity: Xpress commands. Each Xpress command combines several standard actions into one quick and easy voice command. Call it what you want. Change the spoken phrase Xpresso listens for to your preferred phrase. Xpresso options are accessible in the task pane. Select the Options tab to change startup options, listening options, and Xpress command options. Change the units of a dimension in an instant. Simply select the dimension, say the unit you want and Xpresso changes it for you. 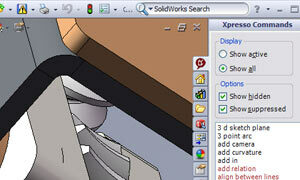 The Xpresso task pane shows available commands in tabbed groups similar to SolidWorks' command manager. Select a command group such as Sketch, View, Sheet metal, or Drawing to see what commands are available in your current SolidWorks context. Enter simple equations, units, and numbers verbally. For example, Extrude. 10 inches plus 5 millimeters. Ok. It's that quick. There are times when you want to suspend your work to do something else or speak within range of your microphone, but don't want recognition. When listening is suspended, Xpresso will not accept verbal commands. Context referencing means Xpresso only listens for commands that make sense, which means you don't spend hours training like with other speech recognition software. 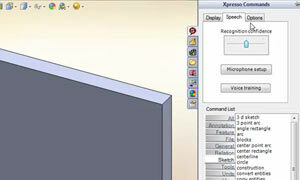 Xpresso gives you access to over 700 voice commands which are standard SolidWorks commands. Build assemblies faster than ever with Xpress mates. 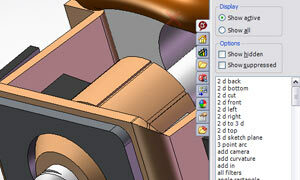 Simply click the parts then tell SolidWorks® the mate you want. The Xpresso suite is a product of 3E LLC, a Kansas-based company dedicated to increasing productivity and ease of design for the computer-aided design field.